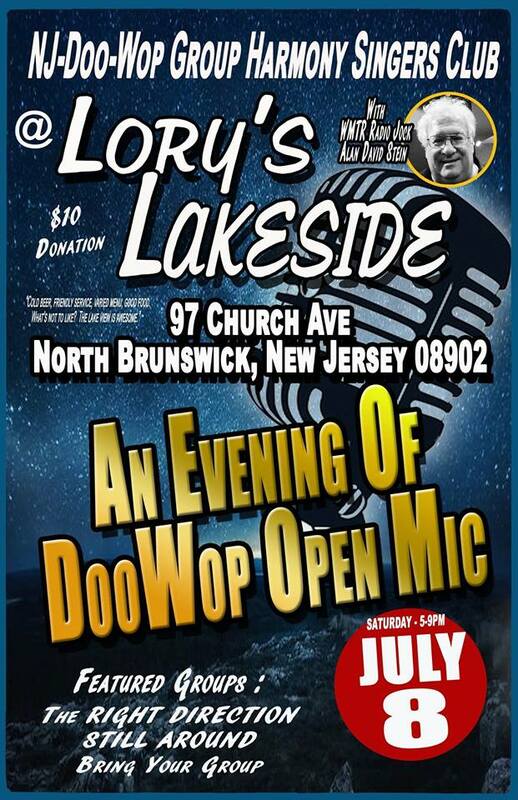 The NJ Doo Wop Singers Club is moving to a new location with their first get together on Saturday from 5 – 9 PM on July 8. It will be An Evening of Doo Wop Open Mike with featured groups, The Right Direction and Still Around. Emcee will be WMTR’s Alan David Stein. Admission with a $10 donation. Stu and Pat Pushkin invite vocal groups to come and sing. The new location is Lory’s Lakeside, 97 Church Ave, North Brunswick, New Jersey 08902. To make a reservation go to the FaceBook Events Page and click you are coming.